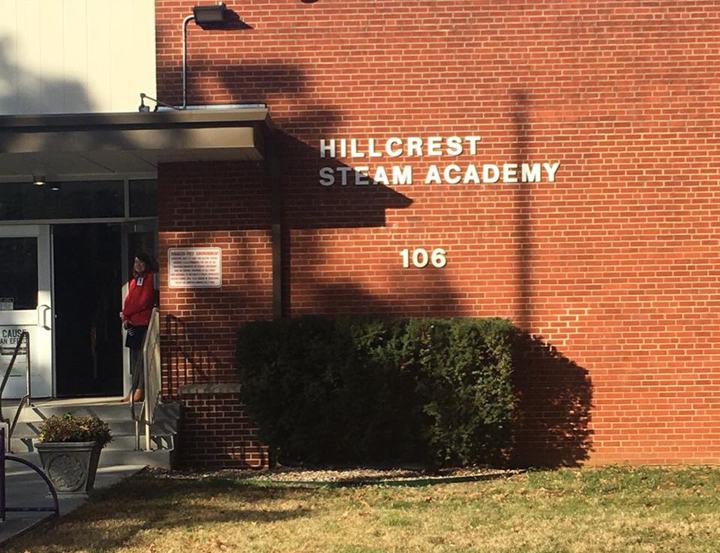 Hillcrest Steam Academy is one of 10 schools served by the Belton School District. 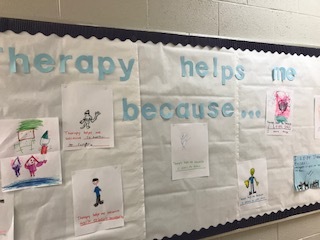 All schools in the district offer on-site therapy to students and their families. Eight years ago, we debuted the ACCESS program, a partnership between Pathways Community Health and Belton School District. The program started with much anticipation during the 2010-2011 school year and was implemented in all 10 schools in the district. 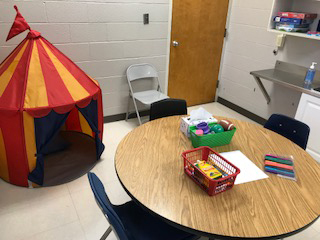 All of the schools offer the same individual and family therapy support provided by the five therapists on staff; we even have services in the Grace Early Childhood Center, offering play therapy and family therapy to pre-K and kindergarten students. 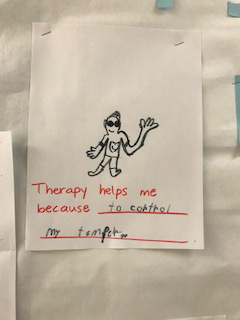 We have been so thrilled to see the impact of therapy offered in schools. Students participating in the ACCESS program are given the Daily Living Activities scale (DLA-20) to measure overall functioning in 20 domains of the students’ lives. Therapists reassess students midway through and again at the end of each school year. 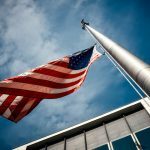 Historically, about 75 percent of students participating show an increase in global functioning (90 percent increase or stay the same) over the course of treatment. The average DLA score increase is 5 points. Due to a legal barrier that prevents third-parties from billing Medicaid in the schools, we rely entirely upon the generosity of the Health Care Foundation to fund these services until state laws change. As a school-based therapist I believe I have made a significant difference in the lives of many students. With this program I’ve had the opportunity to provide assessments, crisis interventions, individual therapy, and family therapy to students at no cost to the family. This program has many benefits as the client’s sessions are held during the school day, which minimizes school absences and increases the likelihood of attendance to the mental health service. 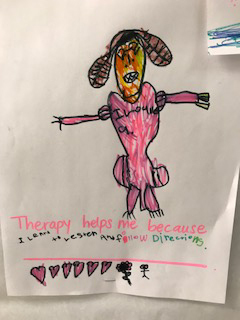 Working in the schools allows the therapist to have ongoing communication with the school staff by attending Individual Education Plan (IEP) or 504 meetings, attending parent teacher conferences, and assisting in crisis situations. All of these avenues help to increase continuity of care. With several different referral sources including parent, teacher, and outpatient offices, we are able to reach many children who wouldn’t otherwise receive these sometimes vital services. 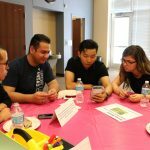 Here are comments from a parent of a student who participated in this program for several years: “When my son was in preschool, we started noticing that he behaved very differently from other kids his age. His impulsive behavior caused many issues with the preschools he attended, to the point that he was not allowed back at one of them. We started taking him to pediatricians, specialists, and therapists to try and figure out what to do. Thankfully during this time we also found Grace Early Childhood Center, which was our introduction into the Belton School District. My son transitioned into kindergarten the following year and was given a teacher who changed our lives in ways she will never understand. She immediately began working on ways to make my son successful in and out of the classroom. One of her recommendations was for him to see the school-based therapist weekly. Up until then he had missed a considerable amount of school for appointments, and I had missed a large amount of work as well. The idea that he could get the same type of therapy within the school day was going to be huge for us. Not only did it save valuable time away from school, but he would also be meeting regularly with someone who really knows, understands, and genuinely cares about him and his development. 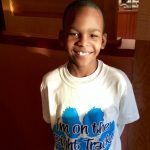 He has made so much progress using this program that he is now in third grade and is doing so well. I cannot even imagine where we would be today without the help of these wonderful school-based therapists. 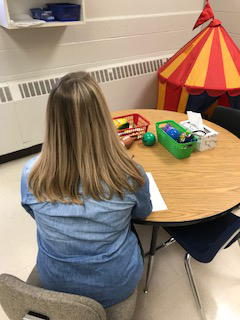 Mrs. Klos checks in regularly to let me know what they have been covering and to find out if I have anything that I want them to work on. Having her at the school means that any concerns that his teacher has are immediately communicated so that they can be worked on in his next session. She attends parent/teacher conferences and meetings, IEP reviews, etc. I feel that there is a very dedicated support team for my son at his school that wouldn’t be as complete or effective without this program. From the bottom of my heart I appreciate all of the work that they do every single day.” We are so thrilled that we can offer these services to our students and see the impact it has on their lives. You can find Belton School District on Facebook or online.